If you pinch yourself after this news, you will know that you aren’t dreaming: The live-action Pokemon movie will not only star Ryan Reynolds as a talking, crime-solving Pikachu, but it will actually come out in theaters one day—specifically May 10, 2019 (per Deadline). 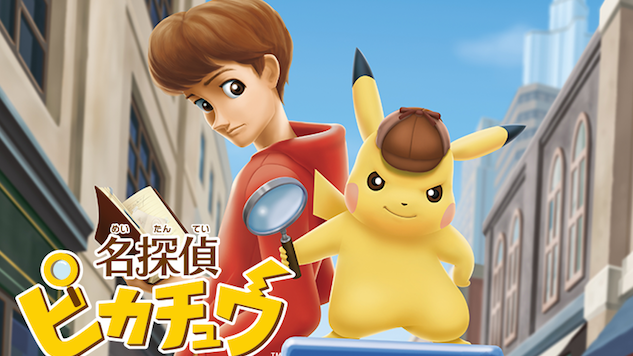 Along with Reynolds, Justice Smith, who will appear in Jurassic World: Fallen Kingdom, and Kathryn Newton (the Golden Globe-nominated Big Little Lies star) will appear in the film as Detective Pikachu’s human companions. The game on which this film will be based was never released outside of Japan, but recent reports (via IGN) show that the game was rated by European rating board PEGI, hinting at a Western release just in time for the film’s release. Detective Pikachu, distributed by Universal Pictures and directed by Rob Letterman, is coming a week after the untitled fourth Avengers movie in a quite unusual match-up.